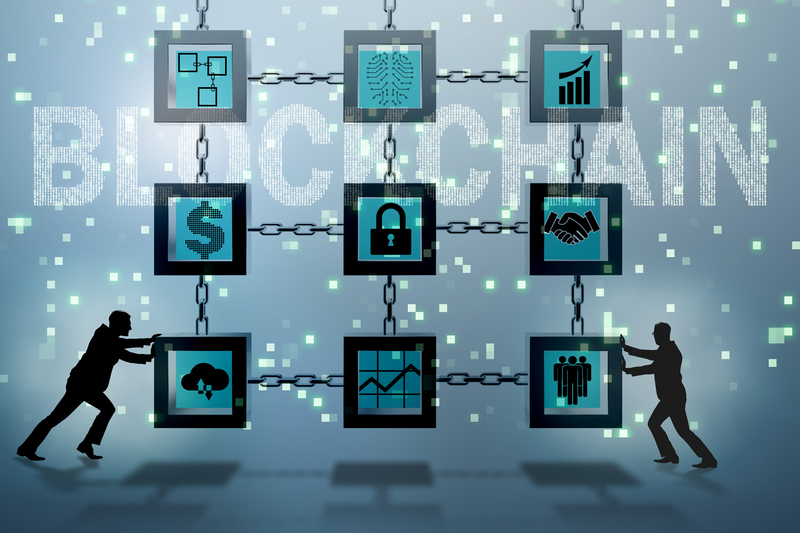 You may have heard the word – blockchain – but you might have no idea what it is or the idea still might be a bit foggy in your mind. Most people hear blockchain and think of cryptocurrencies, like Bitcoin. However, blockchain technology is merely the platform that crypto-currencies function on. When you boil it down, blockchain technology is essentially a secure and efficient way for a peer group to validate transactions. Blockchain is greatly beneficial in the realm of insurance for technology companies. The validations can happen anonymously, or transparently, without a central authority needing to prove the transaction is valid. In other words, blockchain is a technology to store and exchange information within a group in a reliable, trustworthy, and efficient way. Because of blockchain’s ability to provide a public ledger across multiple untrusted parties, it has the potential to eliminate errors and detect fraudulent activity. Functioning as a decentralized digital repository blockchain can independently verify the authenticity of customers, policies and transactions (such as claims) by providing a complete historical record. This will help insurers identify duplicate transactions or those made by suspicious parties. Within claims prevention, new data streams can refine the risk selection process by combining location, external risk and analytics. Using the blockchain ledger enables insurers and various third parties to easily and instantly access and update relevant information like claim forms, evidence, police reports and third-party review reports. As more and more products become connected to the IoT, the amount of data that will be created and collected will greatly increase. This data will be extremely valuable to insurers as they look to develop more accurate actuarial models, or new products such as usage-based insurance (UBI) models. In the auto insurance market, for example, encrypted data collected about driving times and distances, acceleration and braking patterns, and other behaviors can be used to identify high-risk drivers. A growing number of global insurers are developing alliances and exploring new payment business models. One example is using blockchain to cut asset management costs by reducing the hedging fees they pay to protect themselves from currency fluctuations when making international transactions. Mobile wallets are another potential use that could allow consumers to have all their identities and insurance information available instantly. With reinsurance, the benefits of blockchain include more accurate reserve calculations based on actual participating contracts and automatic calculation updates once underlying data is updated. In addition, insurers gain more flexibility in moving capital and enhanced transparency into known risks. This equates to audit trails becoming easier to follow. Blockchain technology is in many ways made for the insurance industry. The industry’s inherent bond of trust and promise to pay is based on disclosure of accurate personal data that describe the insurable interests of clients, the agreement to a contract between two parties, and timely payment. Blockchain helps remove friction, errors and risk from all of these steps. Interested in learning more? Contact Joseph Talmadge to learn how to optimize the insurance industry with blockchain technology.